When Matthew Johnson started Fat Possum Records in 1992, the label focused on overlooked bluesmen of the Mississippi Hill Country—artists like R.L. Burnside and Junior Kimbrough, who often played their ultra-raw blues at their own out-of-the-way roadhouses. In some ways the label began as an extension of the book Deep Blues by Robert Palmer and the subsequent Robert Mugge film documentary of the same name—Palmer even produced some of Fat Possum's records. Despite a rocky start and a failed distribution deal with Capricorn, the label eventually made some of these blues veterans into minor stars. Burnside was embraced by the Jon Spencer Blues Explosion, who toured and made a record with him, and Fat Possum developed a roster of blues primitives like T-Model Ford, Robert Cage, Elmo Williams, Cedell Davis, Paul "Wine" Jones, and Asie Payton. Over the past decade, though, the sexiness of old-time bluesmen with rap sheets longer than their discographies started to wear off (Fat Possum often pumped up the dangerous reputations of its artists), and the label moved on to indie rock. Fat Possum still dabbles in blues and soul—it launched a campaign to reissue the Hi Records catalog a couple of years ago—but today it focuses on artists like Wavves, Tennis, Andrew Bird, Smith Westerns, and the Walkmen. Luckily, Fat Possum imprint Big Legal Mess has been quietly picking up the slack over the past few years—so quietly, in fact, that until recently I didn't even know it existed. Two recent titles have convinced me to pay close attention from now on: You Can't Hurry God is a superb new recording by Reverend John Wilkins, son of brilliant blues and gospel singer Robert Wilkins—best known for his song "Prodigal Son," famously covered by the Rolling Stones (as "That's No Way to Get Along") on Beggars Banquet. The younger Wilkins grew up in Memphis, absorbing urban soul as a complement to his father's raw Delta blues. In the 60s he worked with soul singer O.V. Wright and later joined the M & N Gospel Singers; in the early 80s he found his calling in the church, becoming pastor of Hunter's Chapel Church in Como, Mississippi, onetime house of worship for the likes of Mississippi Fred McDowell and Otha Turner. He gives a knockout solo performance of "Prodigal Son" and takes a gritty electric-band spin through McDowell's "You Got to Move" (another tune the Stones covered) that revisits the early Fat Possum sound. But for me the best material is the gospel-oriented stuff: the title track, "Jesus Will Fix It," and "I Want You to Help Me," where an organ-stoked band shimmies at the border of sacred and profane, pushing closer to soul than blues. On these tracks Wilkins's voice sounds a bit smoother, propelled by a great call-and-response female chorus. Below you can listen to another excellent song from the album, "Sinner's Prayer." 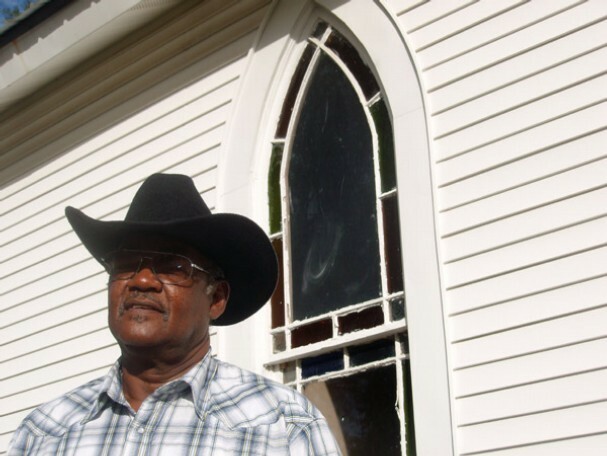 Converted Mind, by obscure North Carolina preacher Bishop Dready Manning & the Manning Family (due March 29), collects most of the late-60s and 70s singles from Manning, a saved sinner who got his start as a whiskey-swilling bluesman raised on records by Blind Boy Fuller, Brownie McGhee, and Lightnin' Hopkins. 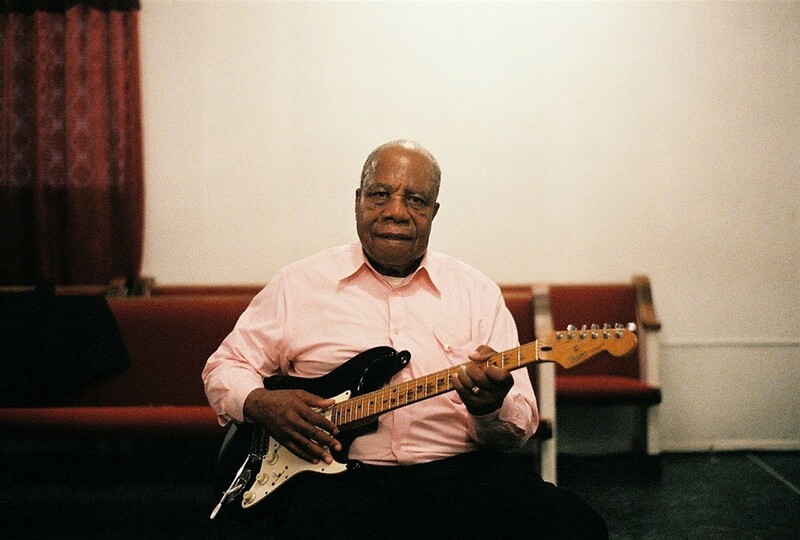 These 28 tracks—which include a pair of songs by Manning's first band, the Gospel Four—are delightfully raw, stripped-down, even a touch inept (particularly the drumming, which plays fast and loose with tempos). Manning has a chill, avuncular presence, rarely raising his voice or piling on the drama; instead he seems to trust in the rhythm, melody, and message of each tune. Some songs are peppered with highly personal testifying—in the beginning of his version of Merle Travis's "I Am a Pilgrim" he speaks about how as a child he would wait up at night waiting for the radio to play that song, and on "If You Miss Me," where he deploys a Piedmont guitar style inspired by Fuller, he recalls, "I used to do this all night long for the devil / I used to have white and colored shaking a leg / But one day I decided to make a change." On "Manning Family Theme Song" he does little more than advertise the band's availability. Most of the singles were released by Su-Ann, one of numerous imprints owned by record man Hoyt Sullivan; according to the liner notes, Manning never met Sullivan, instead conducting all business via mail and phone. Manning also issued a handful of records on fly-by-night imprints of his own, like Peatock and Nashbrand—their names intentionally chosen to resemble those of hit gospel labels Peacock and Nashboro. In recent years Manning has returned to playing the blues as a kind of, um, demonstration. "I talked with the Lord about it and I decided, well, if people want to hear me, I'll do it just for them," he says. He insists that it's now solely "to the glory of God." Below you can hear one of three versions (all with different titles) of "What the People Gonna Do," which sounds suspiciously like the Violinaires' "I Don't Know What This World Is Coming To," written by Gene Barge. In fact, many of Manning's tunes borrow melodies wholesale (that sure sounds like Ray Charles's "Leave My Woman Alone" in "The Gospel Train"), but that doesn't make this performances any less magnetic. Big Legal Mess has about a dozen reissues of blues and soul records in its catalog thus far. I need to start digging.